You love your business, and you’ve poured countless hours of blood, sweat, and tears into it. A modified bitumen roof is a great option for those looking for a reliable roof, that isn’t going to cost them an arm and a leg. 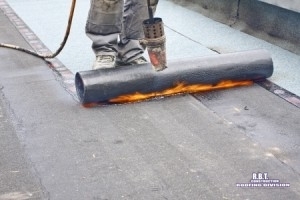 So when you’re looking for modified bitumen roof installation in Texarkana, TX, call the experts you can trust at 903-691-0931. Modified bitumen has been used for decades and is one of the most cost-effective methods for protecting your property and your belongings. 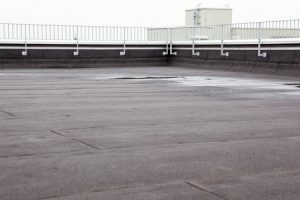 It is essentially a type of asphalt that is used to create a waterproof barrier sealing your building from the elements. The reason it’s not simply called asphalt is in the name. Modified bitumen has different modifiers added to the asphalt in an effort to give it different properties. Traditionally the two most common additives are SBS (styrene butadiene styrene) and APP (attactic polypropylene). Each of these additives has unique attributes that give the asphalt different properties. SBS- styrene butadiene styrene is a type of rubber that is added to asphalt in an effort to make it more flexible and elastic. This makes it great for areas that tend to freeze a lot. The constant contraction and expansion can be tough on ridged roofs. This is by far the more common of the two modifiers. APP- Atactic polypropylene is a type of plastic that is added to the asphalt. It typically makes the membrane last longer. Although not as common as SBS, this is a great alternative for those wishing to extend the life of their roof. Call Us for a Modified Bitumen Roof. Here at R.B.T Construction Roofing Division, we pride ourselves on honesty and integrity. Our promise to you is that we will always deliver exceptional quality when it matters the most. So when you’re looking for the trusted professionals to install modified bitumen roof in Texarkana, TX look no further than R.B.T Construction Roofing Division. Give us a call today at 903-691-0931 to speak with one of our experienced roofing experts about installing this type of commercial roofing on your building. Updated on August 30, 2018 at 11:44 am by R.B.T. Construction Roofing Division.